Soil Organic Matter – Can You have too much? The idea is to add a little organic matter at each planting and let the plethora of good microbes and fungi do their job to break it down to a more stable form such as humus. This can take a LONG time, especially if you have sand or clay soil. I use a crop rotation method as well, where I grow a soil improver crop such as broad beans or field peas which I dug in to enrich the organic matter and nitrogen in the soil. The next crop of leafy greens is planted via seed or seedling a week or two later into the freshly enriched bed. You can also add other organic matter to the bed such as home made compost or mushroom compost. 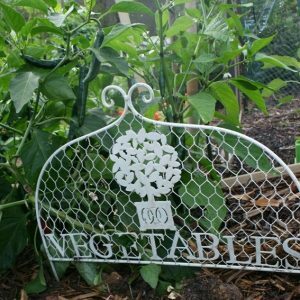 I recommend that you add a maximum 10% organic matter to a garden bed at preparation time to reap the benefits. At planting time I also use Humates (which are available in granular form from me) and water these into the soil. Humates are a stable form of organic matter in the soil. 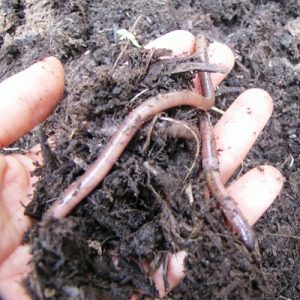 If your soil doesn’t smell rich and earthy, you probably dont have a natural abundaqnce of beneficial microbes. These will grow over time in a well aerated, moist soil with plenty of organic matter, but to hurry things along, you can infuse your soil with beneficial microbes that actively break down the organic matter and release it to the plant. I also have these for sale and will lend you the brewer for making the microbial brew if you live locally to us in Capalaba. Microforce microbial brew is ideal as it’s a blend of beneficial fungi and bacteria that when applied to the soil with Fulvic acid or Seaweed solution, will boost microbe numbers significantly. You can also add this to your compost heap for more rapid decomposition. Email me for more info if you’d like to give this a try. Call me (Linda) for the address.